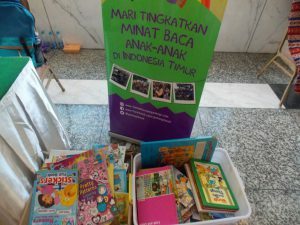 One of the biggest and prominent media in Indonesia, KOMPAS, covered the Ambassadors of Rainbow Reading Gardens event on its Education and Culture section, entitled “Jendela Mimpi Anak Indonesia Timur” (“Windows to Eastern Indonesian Child’s Dreams) on Sunday, June 11, 2017. 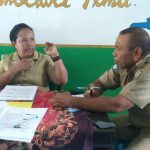 The event, organized by Travel Sparks together with Rainbow Reading Gardens and supported by Agoda, a travel information provider, has opened the windows to child’s dreams in Eastern Indonesia. 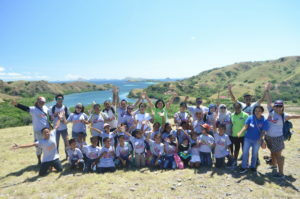 The three-day event took place at Labuan Bajo, West Manggarai, East Nusa Tenggara and gathered 18 elementary school students as well as 9 teachers from Rainbow Reading Gardens school partners. 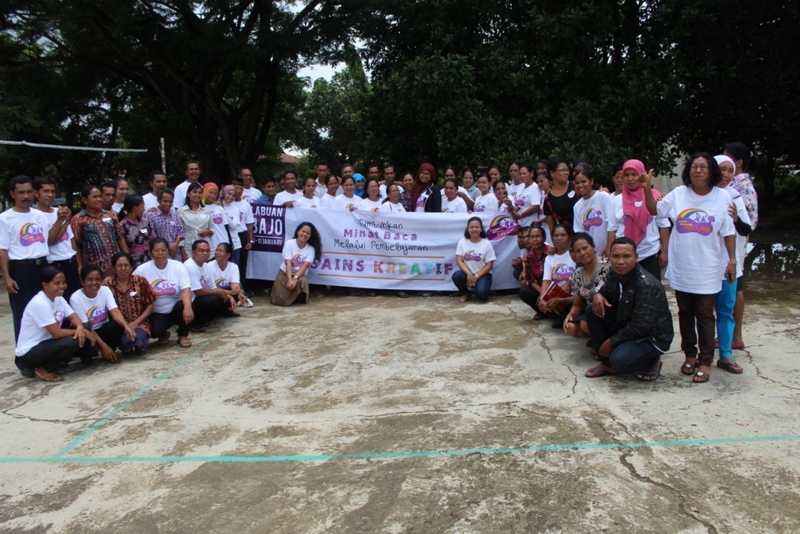 The participants come from SDN 25 Moko and SDN 2 Waisai (Raja Ampat, Papua), SDN GMIT Pitungbang (Alor, East Nusa Tenggara), SDN 4 Alas and SDI Nijang (Sumbawa, West Nusa Tenggara), SDI Kaca and SDI Pongkor (Manggarai, East Nusa Tenggara) as well as SDK Melo and SDN 2 Labuan Bajo (West Manggarai, East Nusa Tenggara). 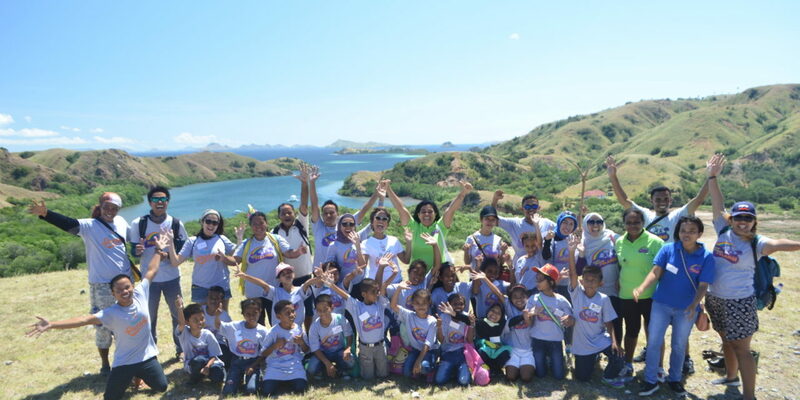 During these three days, the participants had their activities at Labuan Bajo and visited Komodo National Park, followed by the inauguration of Rainbow Reading Gardens library at SDN Rangga Watu, Mbeliling Sub-district, West Manggarai, which is supported by Agoda. 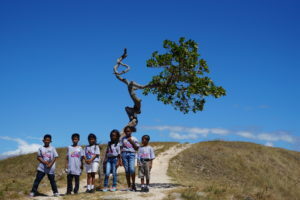 As mentioned by a participant from SD GMIT Pitungbang Alor, Yandri Sella Oil, it was her first experience being on a plane and saw komodo dragon in its habitat. 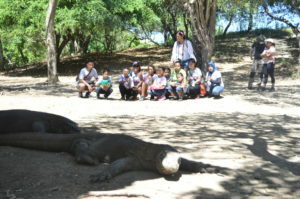 Yandri and other participants used to see Komodo dragons in books only, yet now they have the opportunity to see with their own eyes. 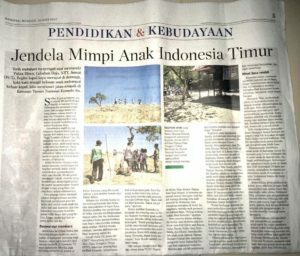 As written by KOMPAS, the Ambassadors were selected by their habit of reading. Nila Tanzil, the founder of Rainbow Reading Gardens said that she selected the kids who visit the library frequently. 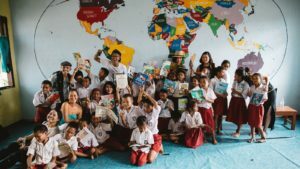 This non-profit organization has established 57 libraries and distributed more than 105.200 books across rural areas in Eastern Indonesia. Finally, 18 participants were selected and crowned Ambassadors of Rainbow Reading Gardens 2017. 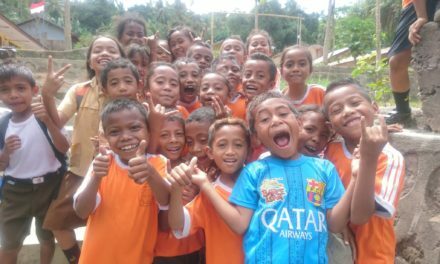 Eastern Indonesia has a huge potential in the future. The limited infrastructure and human resources may be one among many challenges that may hinder its development. However, this limitation does not prevent the kids from reading more. 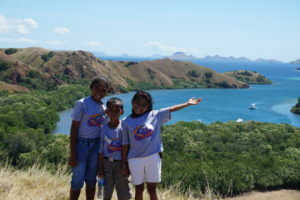 Just like the book that opens their horizon about everything in this world, may the trip to Komodo Island be the start to pursuing their dreams. Thank you, “Drive Books, Not Cars”!